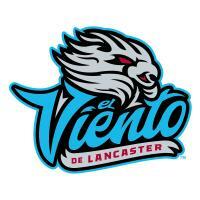 Lancaster, CA - The Lancaster JetHawks announced today that they will become "El Viento de Lancaster" for ten Friday night games throughout the 2019 season, as they celebrate local Hispanic and Latin culture in the Antelope Valley. The Friday night games will include free activities for kids, taco trucks, music, dancing and more as part of Minor League Baseball's Copa de la Diversión program, and in partnership with High Desert Medical Group. The Copa program began in 2018 as a way for Minor League Baseball to celebrate Hispanic culture and heritage, and to pay tribute to the many Hispanic baseball fans throughout the entire country.